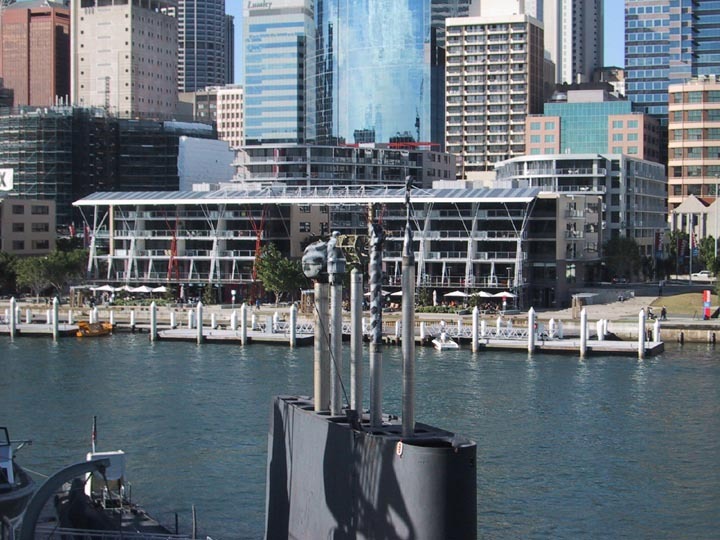 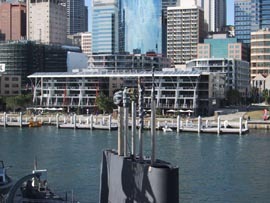 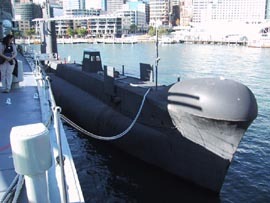 The Onslow is one of four British Oberon class submarines, now retired from the Royal Australian Navy. 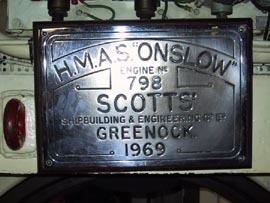 The side of the sail of the Onslow, showing a name plaque and navigation light. 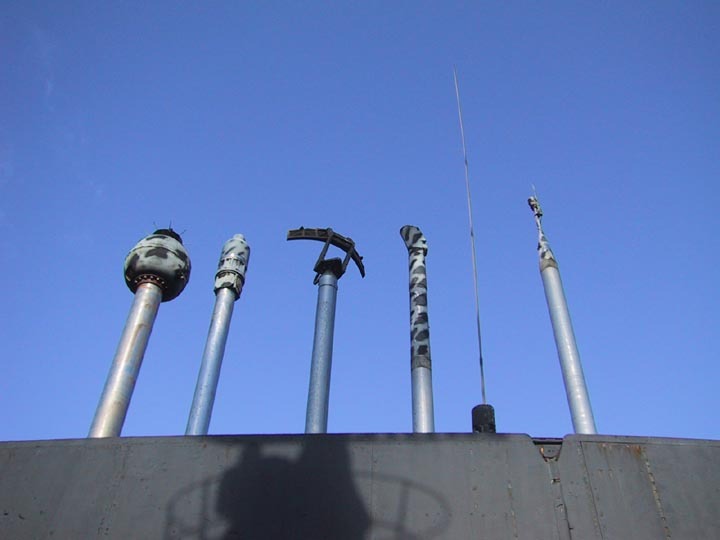 The masts of the Onslow, from left to right: engine exhaust, snorkel (air intake), surface radar, search periscope, radio antenna, attack periscope. A high angle view of the masts of the Onslow. 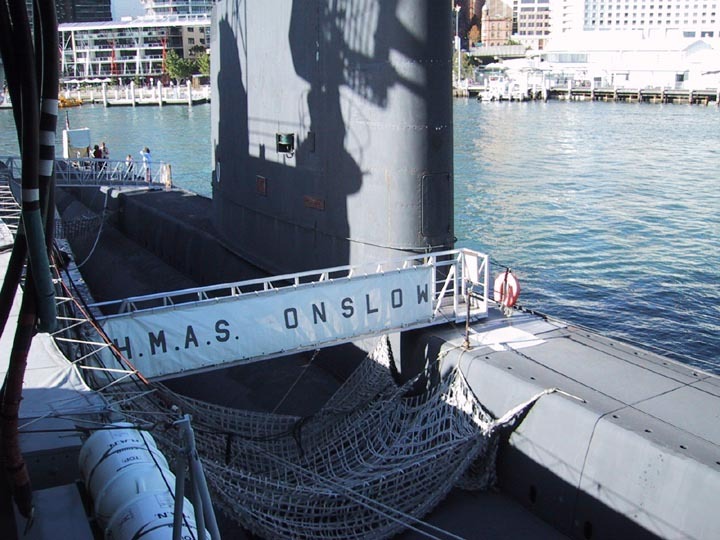 Bow view of the Onslow, the big blister in the front is the sonar. The gangway onto the Onslow. 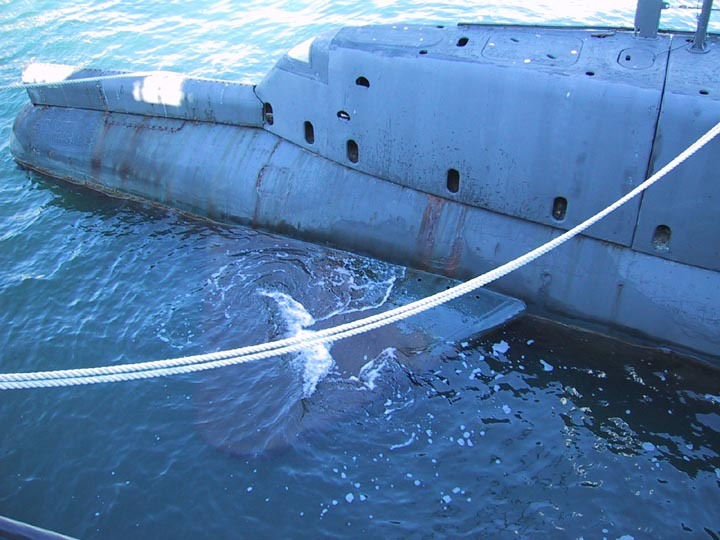 Notice the nets below the gangway. 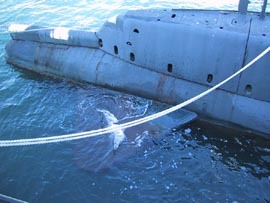 Entrance to the sub is forward of the sail. 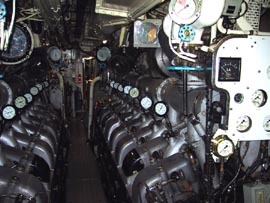 The aft planes of the Onslow. 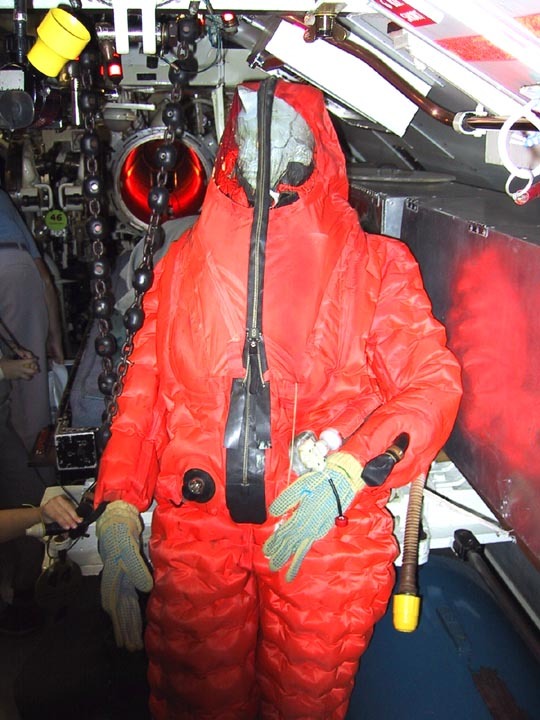 Ascension suit for escaping a sinking submarine. 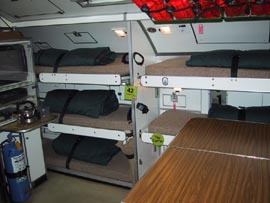 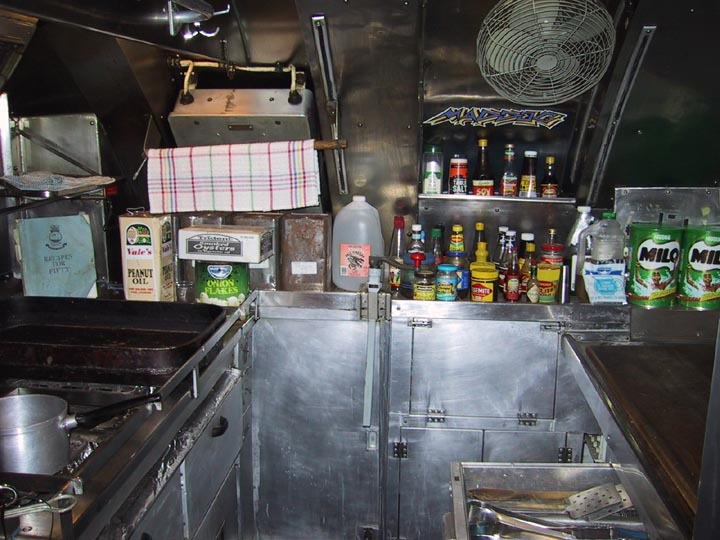 Bunks in the torpedo room. 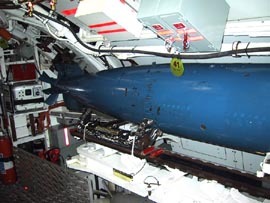 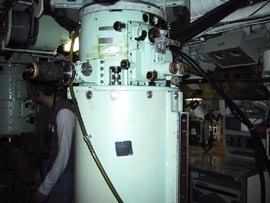 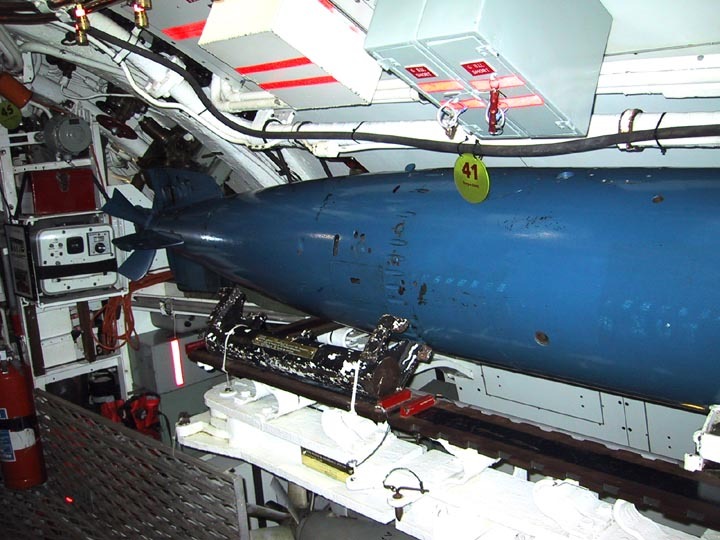 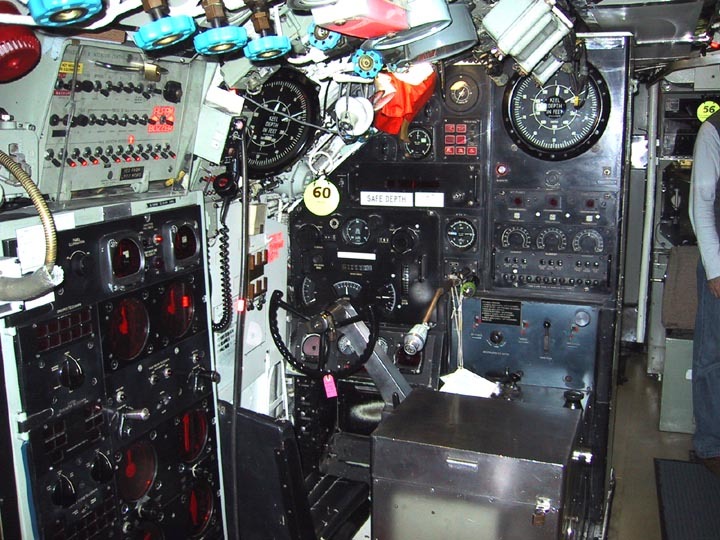 Aft portion of a Mark 8 torpedo. 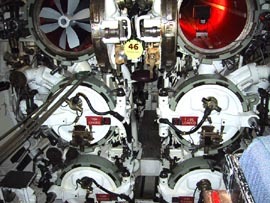 Nose of a Mark 8 torpedo (at the top) and a Mark 20 torpedo (at the bottom). 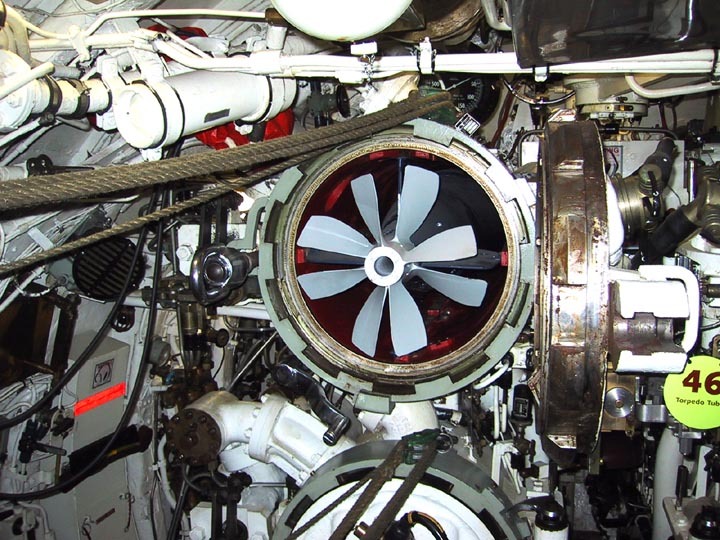 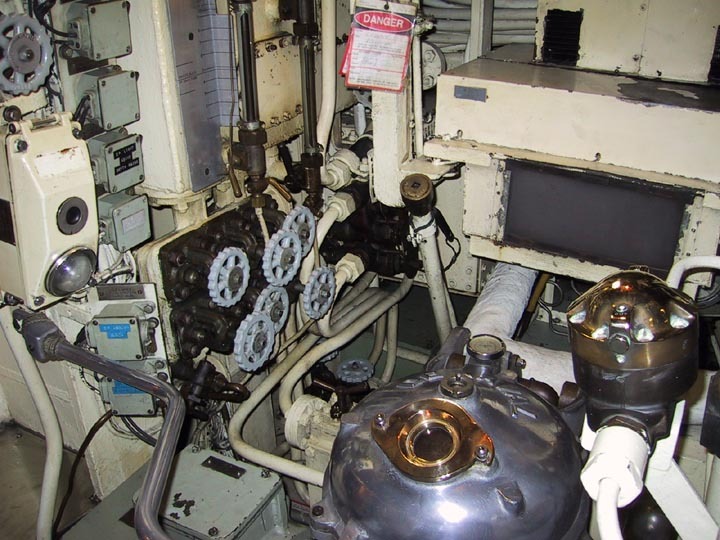 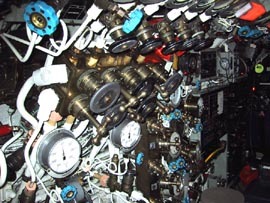 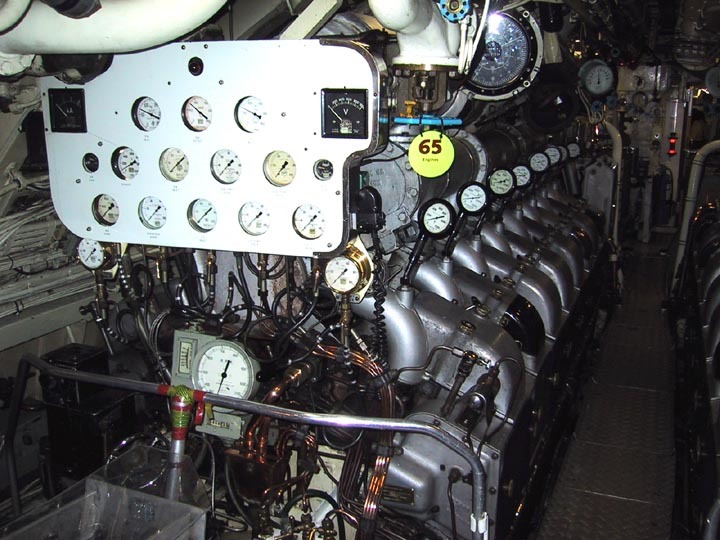 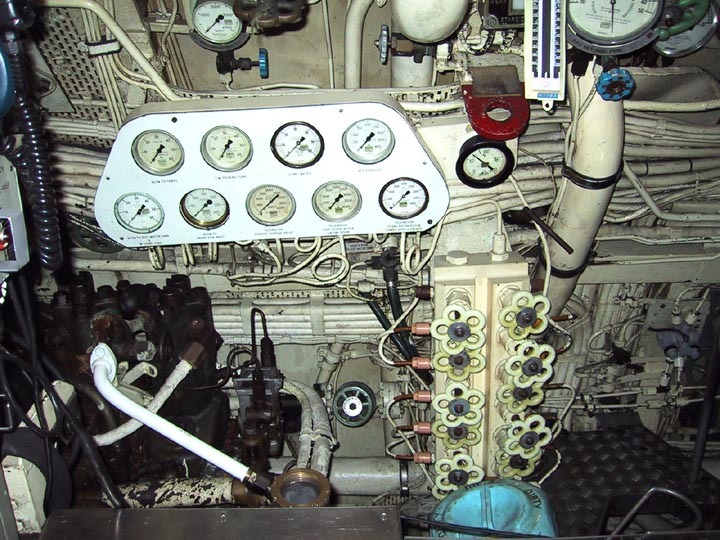 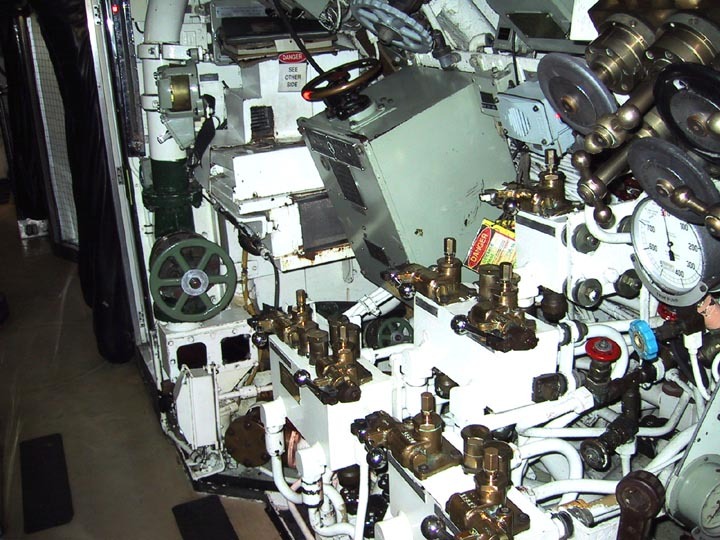 The six forward torpedo tubes on the Onslow. 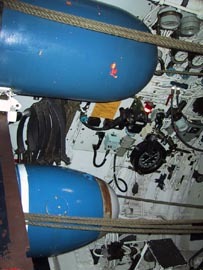 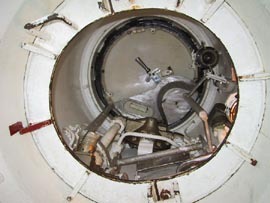 Close up of tube 1, showing loaded torpedo. 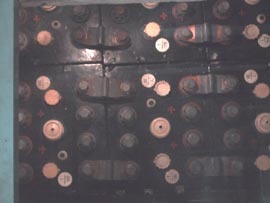 Forward battery beneath the torpedo room. 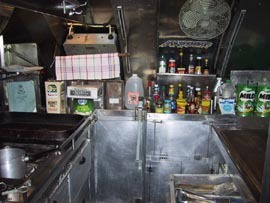 Kitchen of the Onslow. 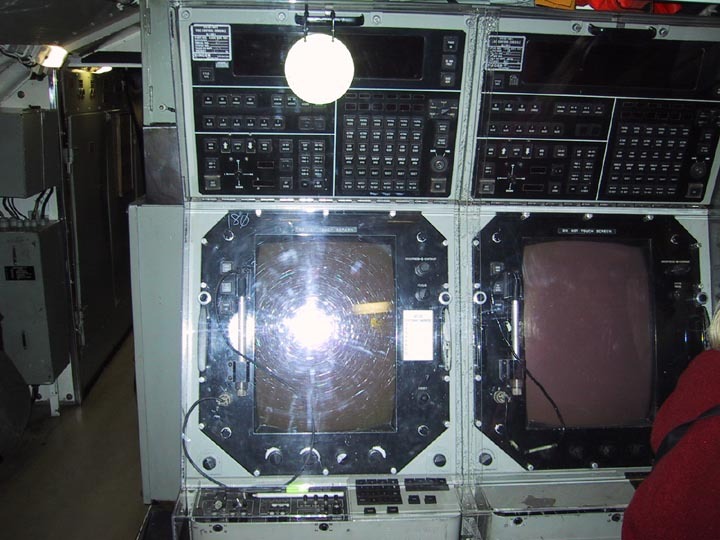 Radar and sonar stations. Search periscope. 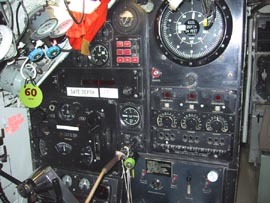 Close up of gauge panel for helmsman. 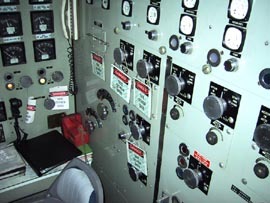 Tank control handles. 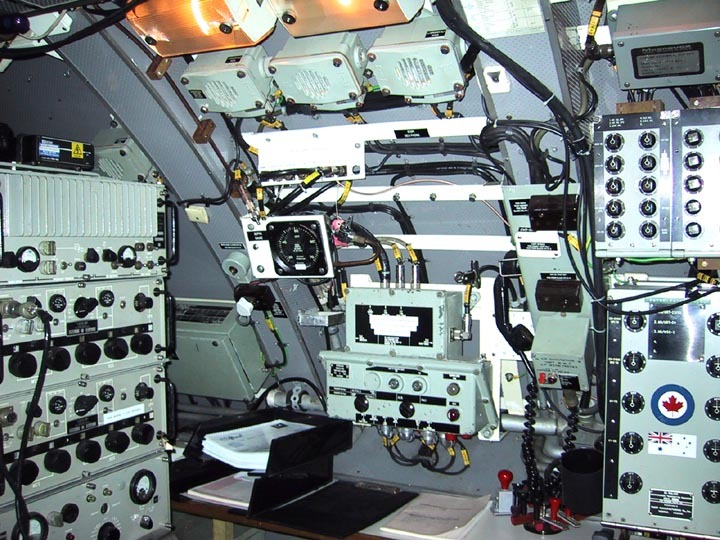 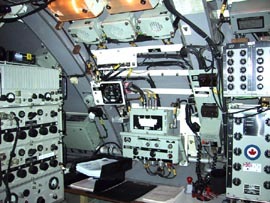 Compartment control. 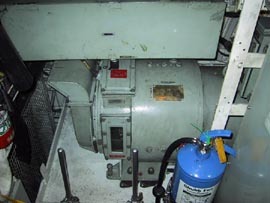 The trash flusher. Electrical control console. 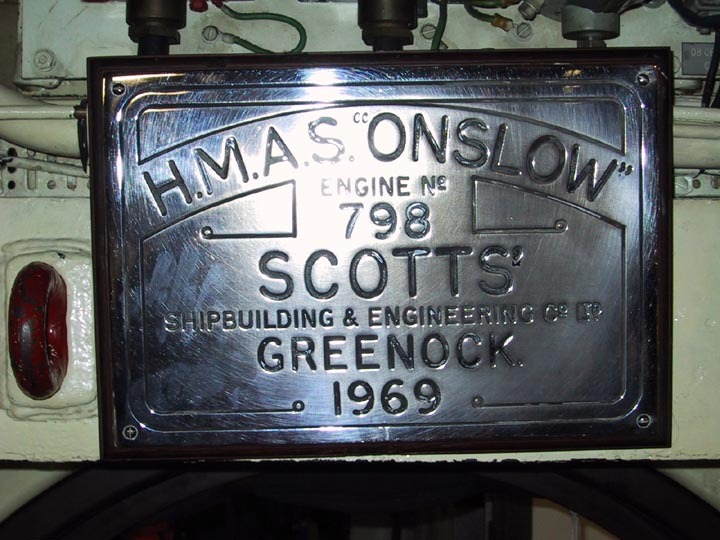 Onslow plaque. 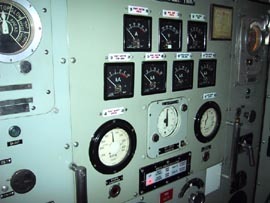 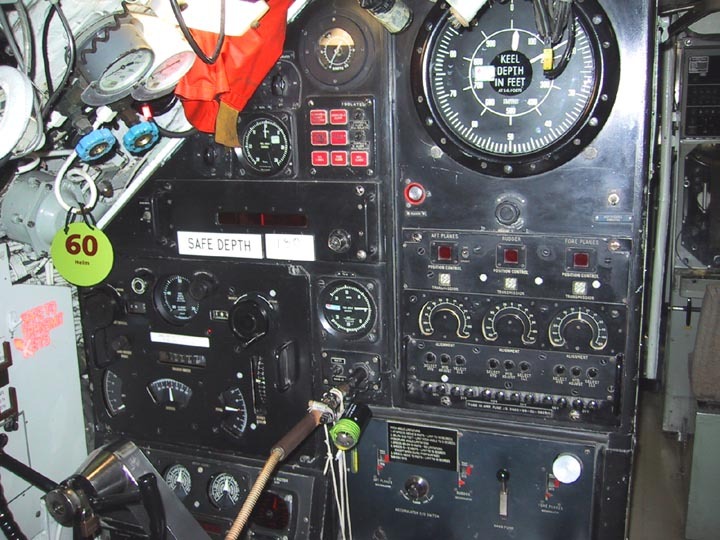 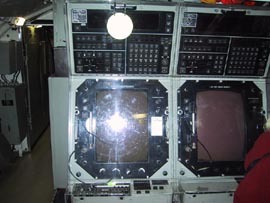 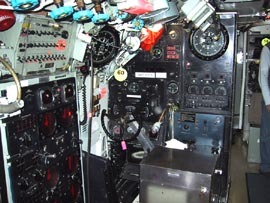 Main buoyancy tank controls. 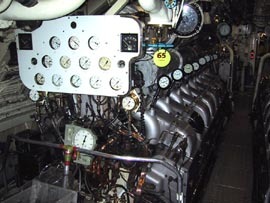 Engine 1. 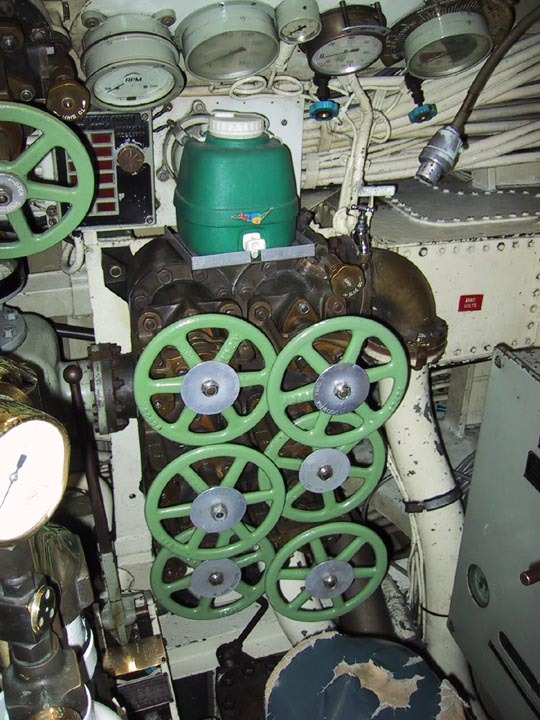 Control valves and gauges for engines. Engine 2. An alternator on Engine 2. 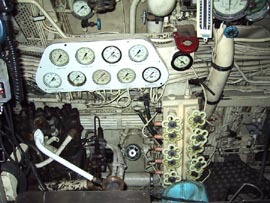 Engine gauges. 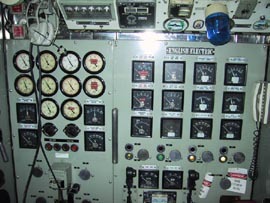 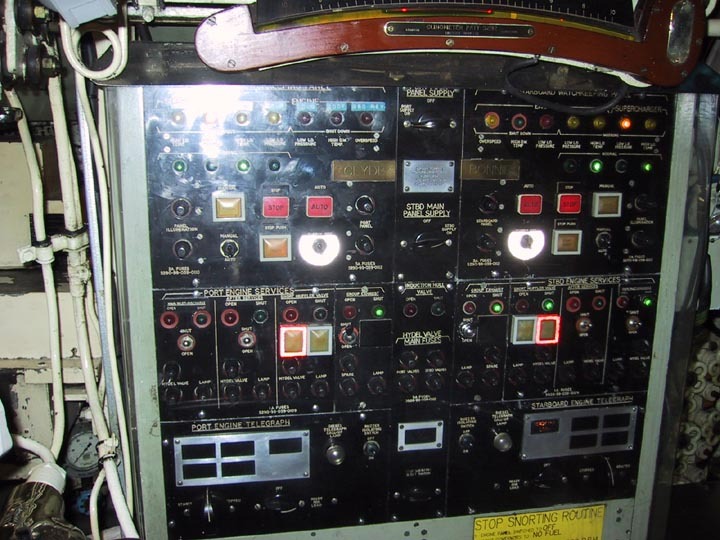 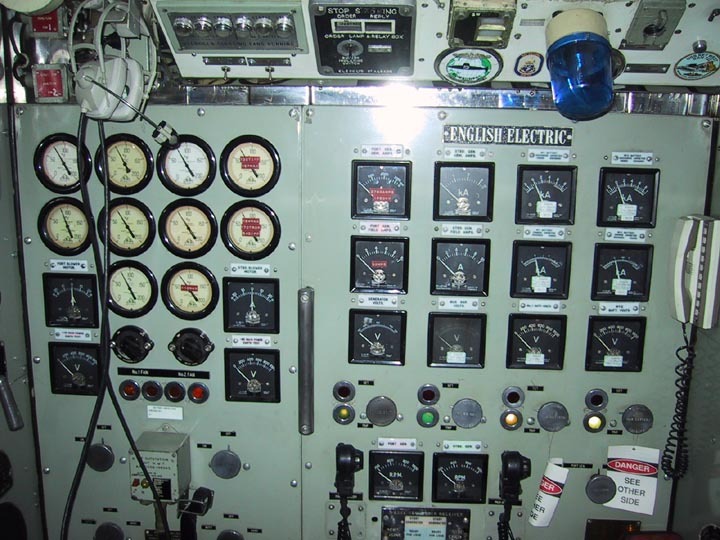 Electrical induction control panel. 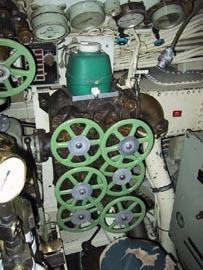 Snorkel and exhaust controls for engines. The door to the last of five pressure compartments in the Onslow. 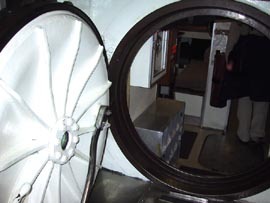 Looking up the aft emergency escape hatch. 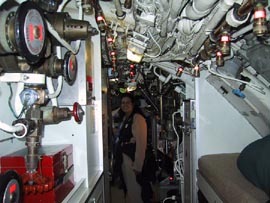 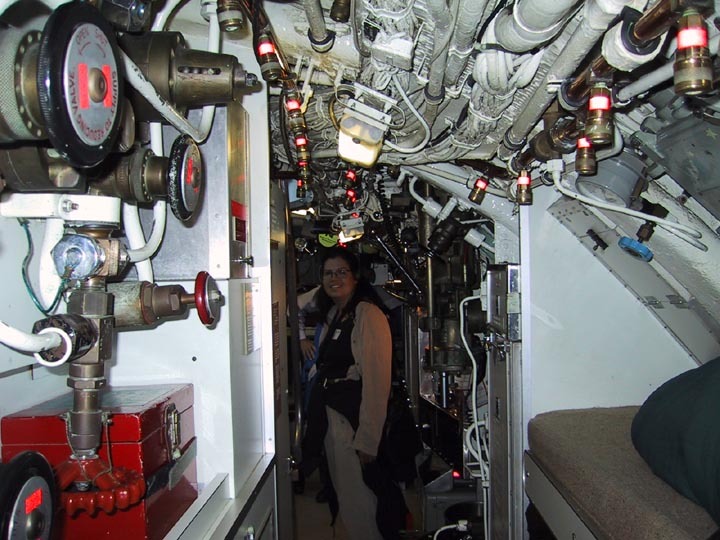 Stacy in the after compartment of the Onslow, before climbing out the aft hatch, ending the tour. 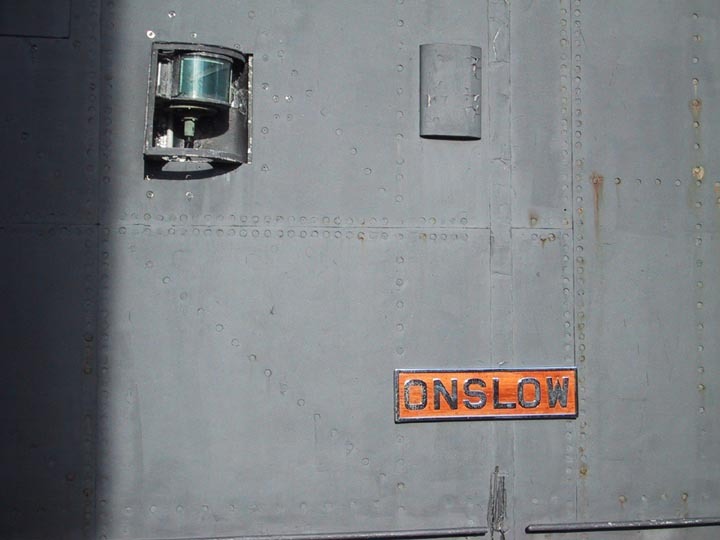 Not a lot of room in the Onslow, in fact, they wouldn't allow you to carry any bags with you when you went through. 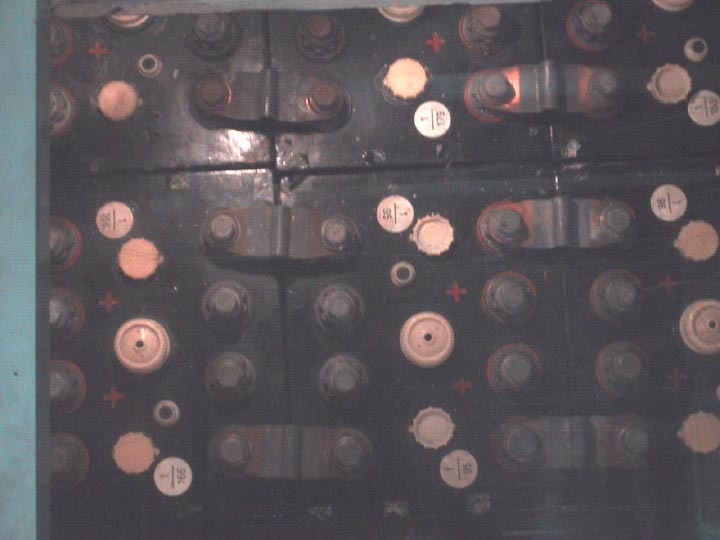 Lots of opportunity to bang your head in there.